SELLER FINANCING AVAILABLE with $50000 down @5.75% and length of loan can be negotiated. This 2 bedroom. 2 bath 2 screen lanai 2 covered parking space condo has the only versatile floor plan in Paradise that offers so many options: Live in both 2 bedroomsor rent the studio short term and live in the front or rent the studio long term and the main short or long term or rent both studio and front any mix you can think of. It all works. The studio has its own private entrance and screen lanai plus a kitchenette and a full size bathroom. The front has an open floor plan with a functional Kitchen with a pass thru window to the screen lanai/patio a dining area by the windows a nice size Master bathroom with linen closet dual sinks and a glass and tile shower. The Master bedroom offers sliding doors to the screen lanai and a walk in closet. A nice size laundry room and storage closet is just off the hallway. Fully furnished including ceiling fans and ready for seasonal or long term tenants This is a lock and go condo with exterior maintenance included in the condo fees. NO CDD's or SINKHOLES! Block and stucco metal roof and no steps to the unit since it is on the ground floor. 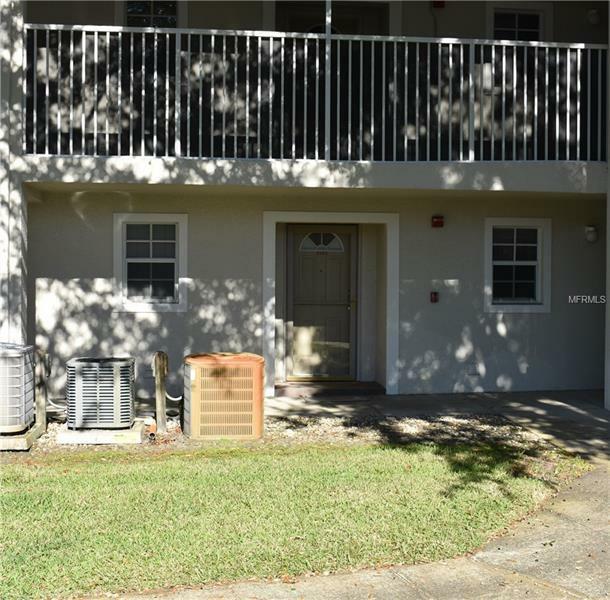 This condo is located in the nudist resort of Paradise Lakes and approval is required to lease or buy. An application with fees is required prior to occupancy. This is one of the best condominiums with the most flexible rental options & a purchase price that is priced to sell. Call for your own personal tour. Pet Restrictions: Please consult the condo docs and rules and regulations.